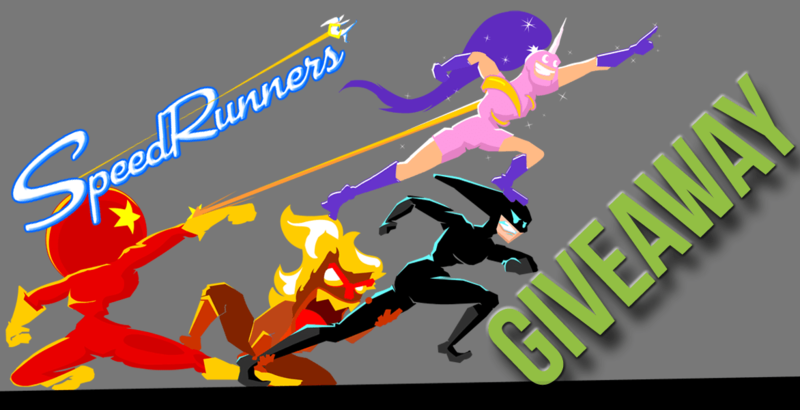 Thanks to our wonderful friends over at tinyBuild Games, we have two Steam redemption codes for SpeedRunners to give away to our awesome readers. A city filled with superheroes. Lots of them. Heroes that compete to get to crime scenes first. Unfortunately they get carried away just competing with each other. Competing to be the fastest, competing to win, and to run. Run really fast. Welcome to SpeedRunners. SpeedRunners is a cut-throat multiplayer running game that pits 4 players against each other – locally and/or online. You can play with any combination of local / online players, and use Xbox controllers. George Washington, and two George Washington clones. Yay for giveaways!!! Thank ya kindly! I need more time to think…most historical figures may need a little time to learn their way about the laptop!! My sister, brother… and Batman. seems like a blast to play with friends! Bruce Lee, Abe Lincoln and Charlie Chaplin. Jason Statham, Vin Diesel, and Bigfoot. Three people I would like to play with: Elijah Wood, Hideki Kamiya, and “Chief” Arino (from Game Center CX). It might seem lackluster since they’re not “past” history, but I think the combination would be an amazing(ly funny) experience! Michael from Rooster Teeth, Macklemore, and Abraham Lincoln.